In the month of December, India’s popular automotive brand, Tata Motors announced that Zica is going to be the most successful hatchback for Indian car market. Various reliable sources have now confirmed the official launch date of Tata Zica. The Zica hatchback from Tata Motors is going to make its debut in Indian market on 20th January 2016. Tata’s Zica which was earlier rumoured to be called as “Kite” is first of the 2 new cars which the company is launching in India as a part of Tata Kite project. Soon after the launch of Tata Zica hatchback, the Indian auto maker plans to launch the sub-compact sedan version. The nomenclature of Tata Motor’s latest hatchback is quite interesting. The name “Zica” is quite innovative and sounds interesting. 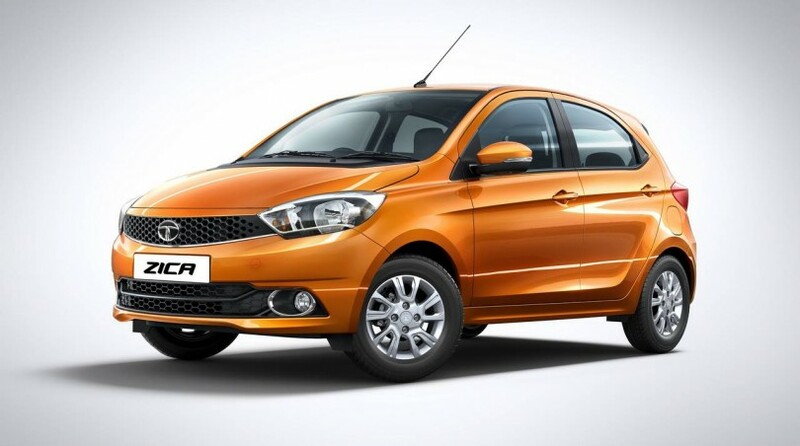 Tata Motors also believes that the name “Zica” is essentially equivalent to Zippy car. When we talk in terms of design of Tata Zica (Check official photos of Tata Zica) , the car is based on the same XO platform as that for hatchback, Tata Indica. The all new Tata Zica brings the new style cues as well as the sharper design language. The Zica looks pretty fresh and equipped well to take on its competitors in hatchback segment. The front side of the new Tata Zica is pretty well-designed that comes with Tata‘s signature honey-comb pattern grille, a very large sweptback headlamps with projector units plus a muscular front bumper. Zica also features a wide grin-like air dam that flanks big circular fog lamps with chrome bezels. Talking about the side profile of Tata Zica,you would notice a sharp character lines with dual tone ORVMs with turn indicators that comes with a set of neatly designed 10-spoke alloy wheels. The rear section of Zica is also very neatly designed with a well-moulded hatch, muscular bumper and wraparound tail lamps with combination lights. The interiors of the all-new Tata Zica looks great as it comes with premium quality fit and finish. The dual tone dashboard of Zica looks well equipped and comes with body coloured panels around the Air Confition vents. Zica also gets decently comfortable contoured seats along with Tata’s signature 3-spoke multi-functional steering wheel which is coupled with the predominant black interiors. Under the hood, the all new Tata Zica shall come with 2 engine options – the first option is the 1.05-litre, 3-cylinder Revotorq diesel engine and the 1.2-litre, 3-cylinder Revotron petrol unit which is used in Tata Zest and Tata Bolt. The Tata Zica diesel variant would produce 67bhp of power and 140Nm of torque, and the Zica’s petrol engine develops 83bhp and 114Nm. Check the revealed Tata Zica specifications. The transmission options of Zica include a 5-speed manual gearbox. We are not sure if Tata Zica is going to be offered in AMT variant. Tata Zica is going to be offered in 6 different colors: Read more here: Tata Zica colors . What to expect from 2016 Ford Endeavour?